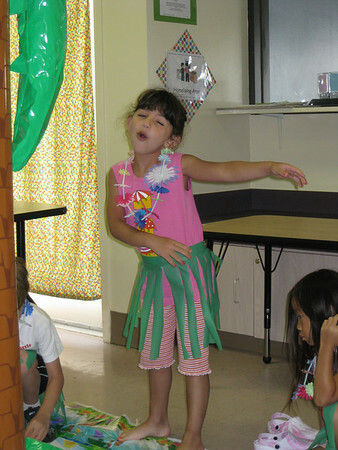 For days the anticipation built among 8 five year olds as they talked about Hawaii, made straw and flower leis and practiced hula dancing. 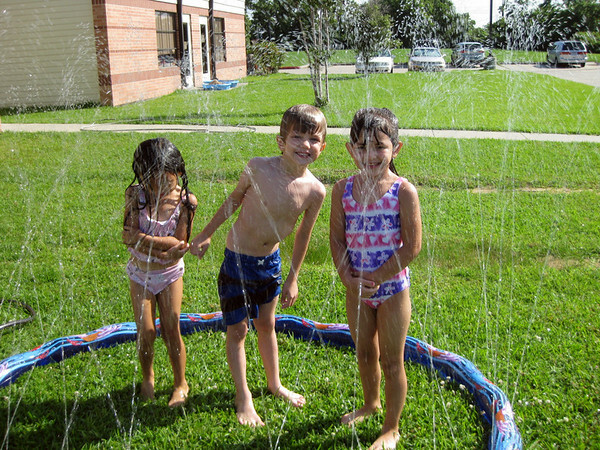 Today was the day for their end of the year water party/luau (although it's not the end of school...yet). 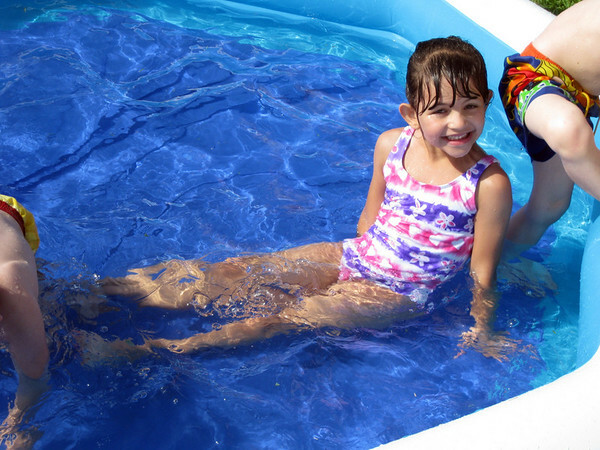 They wore their swimsuits under their clothes and were extra wiggly and jiggly as they waited for the inflatables to be set up and the water party to begin. Bless their teacher. Bless. Her. After plenty of water play, fun with bubbles and an ocean play center it was time for lunch. Somehow 8 children managed to get toweled off and dressed without any incident. Well, except for the one little boy so eager to eat he ran out of the changing room in just his undies. Oh well. 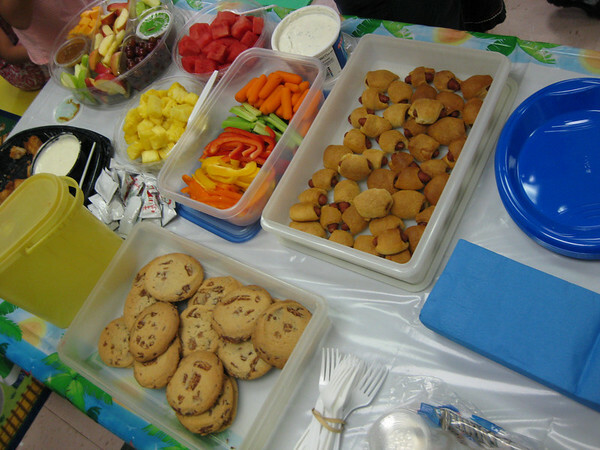 There was quite the spread, which was good because these small children ate like truck drivers. I made the pigs in a blanket and there was not one little piggy left in the space of ten minutes! Oink! Oink! There was an inflatable palm tree thingie that was filled with ice and juice pouches which was festive and cute, but seriously too tempting for them. Who knew ice was so fascinating? They each wore a grass type skirt and showed off their hula skills, it was cute. The boys did this macho chant jumping thing which was hysterical. Soon it was time to go, so the luau drew to a close with the distribution of sand buckets filled with treats (AKA junk). After 3.5 hours of keyed up excitement and silliness of 8 preschoolers I was quite ready to load up my singular child and head home. Aloha. What a deluxe and fun party for these cute preschoolers!